There is an old and rather annoying joke about the devout Protestant who dies and is met by St. Peter at the pearly gates for a tour of heaven. As the tour goes, on St. Peter points out all the different denominations, Lutherans, Methodists, Presbyterians and so forth. 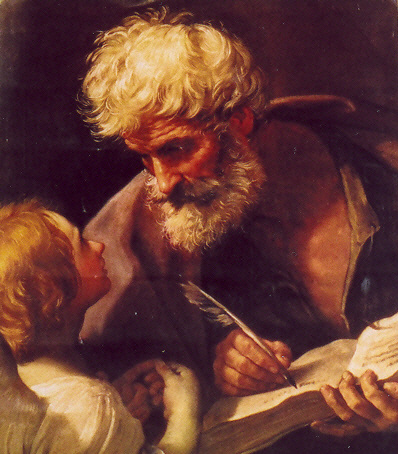 As they come to a certain group way off to themselves, St. Peter draws the man closer and whispers, "Now, for this next group, we need to be really quiet. They are the Catholics and they think they're the only ones here." Good jukes are funny because of certain clever contrasts with the truth. But some attempts at humor, like this one, fail because of muddled logic and a distortion of the truth. This joke fails because, verily, there is no need for faith in heaven. The joke takes a needless swipe of the Catholic understanding of the Faith as the "true religion." A faith and moral doctrines of a religion - or aspects of a religion - are either true or false. Christ identifies Himself as the "way, the truth and the life." The early Church was known simply as "the Way." In every time, the Magisterium of the Catholic Church, under the guidance of the Holy Spirit, proclaims "Fullness of Truth" of Jesus Christ. Every soul upon entering eternity is measured against the definitive revelation of the truth of Christ. In acknowledging the truth of faith, one becomes more accountable, not less. If the Catholic Faith is true (as Catholics ought to believe), then when the fullness of truth is revealed on the day of judgment to every soul - Catholic or non-Catholic - the Catholic Faith will be validated as true. The same logic (in terms of expectations) holds for anyone who thoughtfully subscribes to any religion. Why would anyone be Lutheran or Muslim or Hindi if he harbored any significant doubts as to the ultimate truth of the religion, a truth that must be definitively validated upon entering eternity? The insistence that the truths of the Catholic Faith are validated in heaven (and hell, for that matter), upon close inspection, does not suggest that non-Catholics of goodwill cannot be saved. In particular cases it could be argued that a devout non=-Catholic is doing the will of the Father more perfectly than many Catholics. Equally consistent with the truth "heaven validates the truths of the Catholic Faith" is to insist that it is beyond our authority and competence to declare the condemnation of this or that person. Christ Himself warns, "Judge not and ye shall not be judged" Catholics are in the business of proclaiming salvation in Christ, not condemning anyone to hell. One hopes Judas and Hitler and Osama bin Laden - that good-for-nothing off ice manager - made it (or will make it) to heaven. But if not, only God knows. And if they fell short of eternal bliss (to use a euphemism), God's justice is served. In this week's Gospel, Christ asserts before His ascension into heaven, "All power in heaven and on earth has been given to me." If true, the way of Christ is not only worth proclaiming; His way is an imperative. Our reasons and conclusions may be flawed. Our understanding of our faith may be far too vague. But there is no joke in the demand Christ places on us: "Go, therefore, and make disciples of all nations, baptizing them in the name of the Father, and of the Son and of the Holy Spirit, teaching them to observe all that I have commanded you."